Hi Girls! 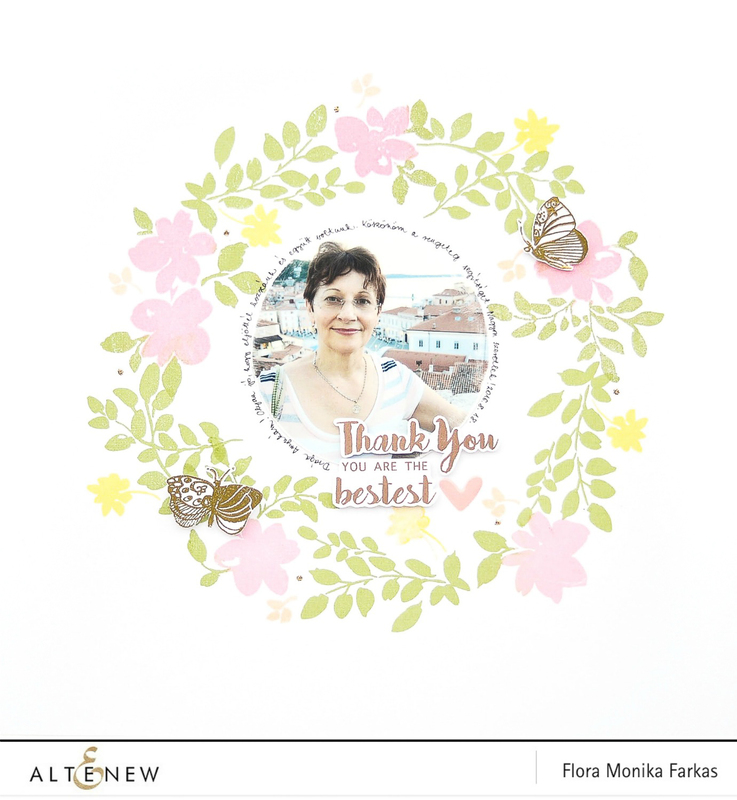 Today I will show you a pretty layout with a nice floral wreath. 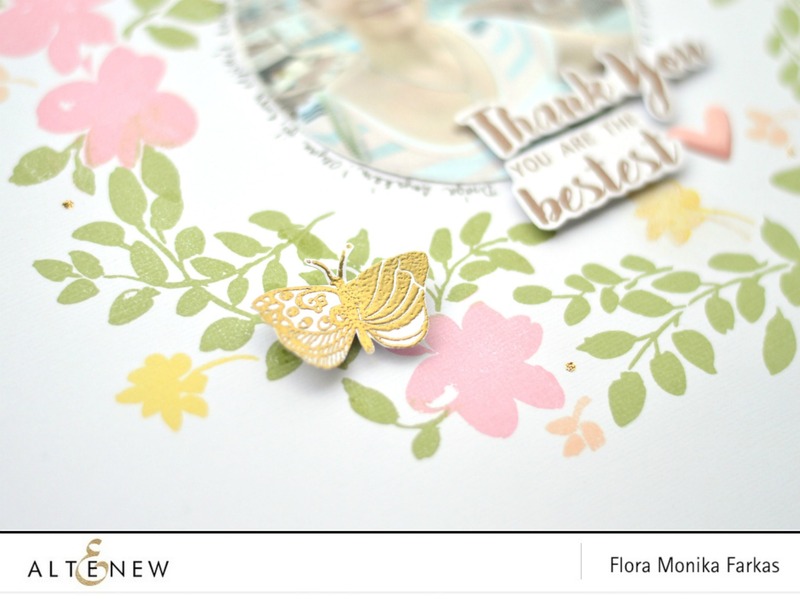 This time I used the new Floral Shadow and butterflies from the Botanical Garden stamp set with Four Scoops mini set. 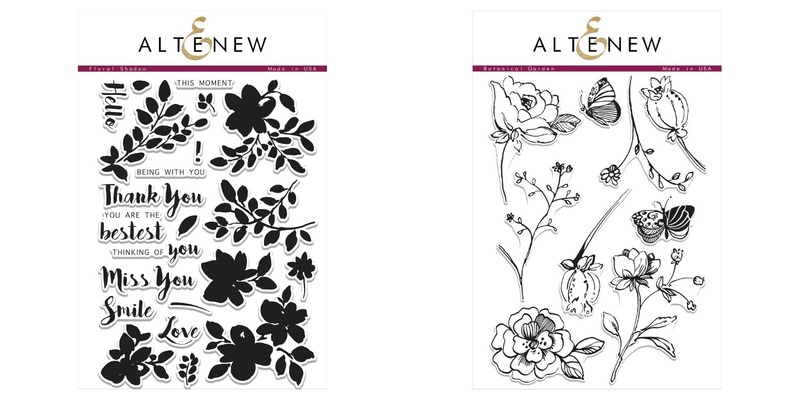 The first step of the process was to find the center of the white cardstock. Then I drew a circle with a calipers and left enough place for the photo. Next step was stamping. 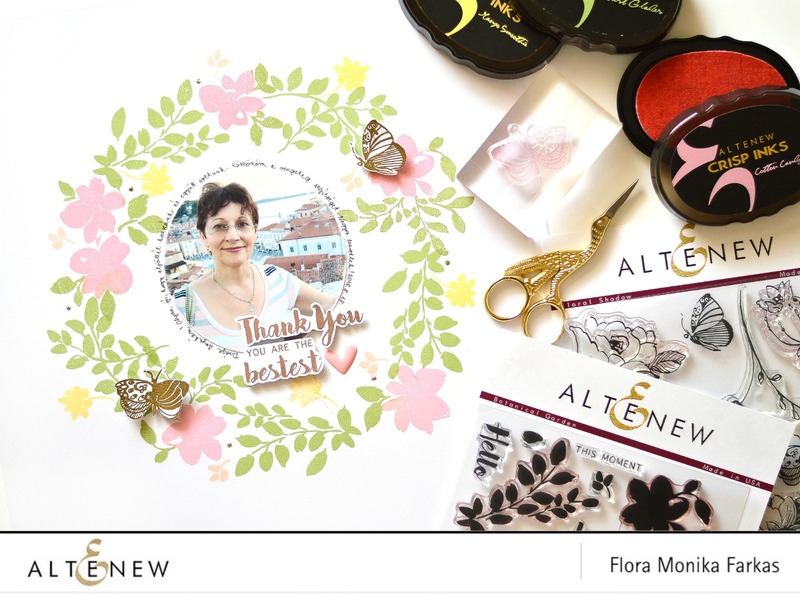 I used the branches and flowers from the Floral Shadow stamp set. Here is a little trick: first I colored my stamp with Cotton Candy Crisp Dye Ink and I cleaned off the pink ink from the branches with a wet wipe and stamped. Then inversely. I cleaned the Forest Glades Crisp Dye Ink from the flowers and stamped. This is how I build the wreath. To make it more fun I added little flowers and buds. For this I used the Mango Smoothie and Peach Perfect Crisp Dye Inks from Four Scoops set. The title comes from the Floral Shadow stamp set and I created the print with Dark Chocolate Crisp Dye Ink from Four Scoops set. I added two golden butterflies from the Botanical Garden stamp set. I made them with heat embossing technique and fussy cut them. I adhered them with foam tape, this gives dimension. 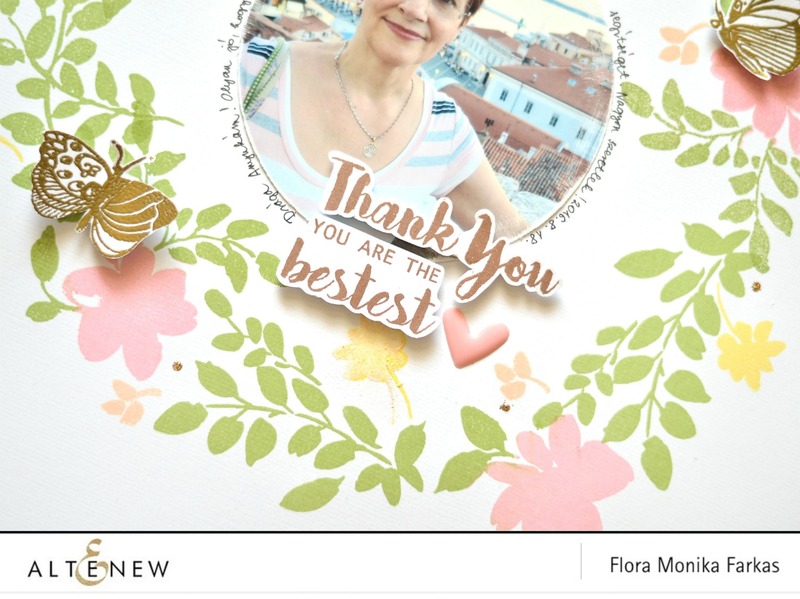 Anyway I made this layout about my Mom to say thank you to be the best! :-) I hope you like it! Thanks for stopping by!